← Inside Scoop: Dish From a Literary Agent Intern… 5 Sites to Help You Write! This winter’s been kind of brutal. Although not as bad as last winter, I’m still very much looking forward to the changing of the seasons and the coming of some warmer weather. And warmer weather, to me, means planning the Writing Yoga® Retreat! 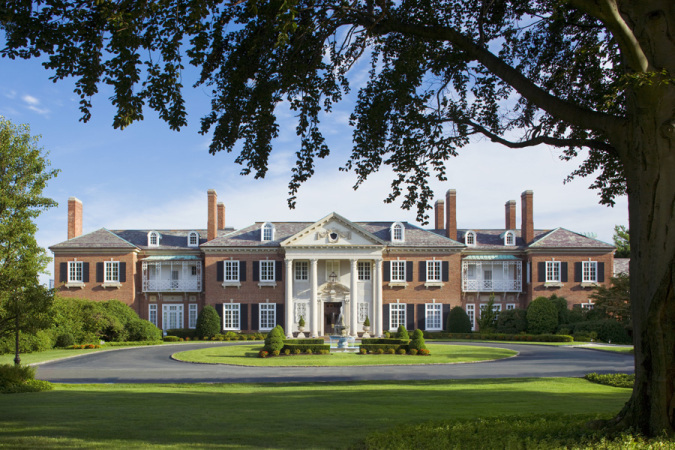 My colleague Stefanie Lipsey and I were in a meeting at The Glen Cove Mansion last week, working on some of the planning for this coming summer’s retreat, and as we walked around I couldn’t help but think about how far she and I have come in just a few short years. Stefanie and I had talked for years about running a retreat for writers, and incorporating yoga. Stefanie had already created the Writing Yoga website and had started leading Writing Yoga workshops. Then in 2013 we planned and ran our first Writing Yoga Retreat. It ended up being quite small, just 6 people, but it. was. fabulous! Last year we offered the retreat again, and we reached our goal of having 10 people register. We smoothed out some of the bumps from our first year, added a couple of things, and the result? Another fabulous weekend. This year we’ve capped our registration at 15 participants. Stefanie and I like leading to a small group, the intimacy of it, having the opportunity to interact with our participants one on one. I was listening to Lily Allen’s Sheezus the other day, which happened to be the album I bought before the workshop, and the total-bubblegum-pop song “Air Balloon” flashed me back to last year. I suddenly remembered that I had this crazy burst of creativity following the workshop. It was huge, and on all fronts: music, writing, programming, and making things. That’s worth it right there. But the weekend also affords me the opportunity to brush shoulders with the business of writing. The editors dinner makes the whole “getting published” thing real, and my sit-down with you, Linda, was invaluable. These are things I do not have access to in my own writer’s circles. Other memories: I really loved the “readings” dinner. The “get inside your character’s skin” exercise was memorable. Sitting around and just talking. And there was one moment on the last day when we were doing yoga inside that really unleashed some mind-body catharsis for me. You know, the more I think about it, the whole weekend pretty much rocked. A lot of times I feel like conferences and retreats are one big race to see how many people I can meet and impress to further my career. The Writing Yoga Retreat is the opposite. You make connections with people not because they have a title, a best-selling book, or an award, but because you share a common love of writing and also move through life as a yogi. Yoga means “to come together” and that’s what we do as writing yogis. It doesn’t matter what genre we are or how many poses we can or cannot do. We come together to support each other on the mat and on the page. We just know that we are better together. I’m very proud of what Stefanie and I have created and I can’t wait for the weekend of July 9th! I’m looking forward to being with the returning participants as well as meeting new people. Will you be one of those people? For more information about the Writing Yoga Retreat, please go to our website writingandyogaretreat.com or you can email us with questions at writingyogaretrat@gmail.com. Wow! Found your blog because you linked to The Write Life (I founded the site)… and I’ve personally been wanting to do a combo retreat of writing and yoga for ages! They’re not easy to find, surprisingly. Hopping over to your site to check it out! Hmmm…one week before my daughter’s wedding. Gotta give this some serious thought. Nothing like diving when the vole scurries across the meadow.